Build a solid wardrobe foundation with this handsome polo. 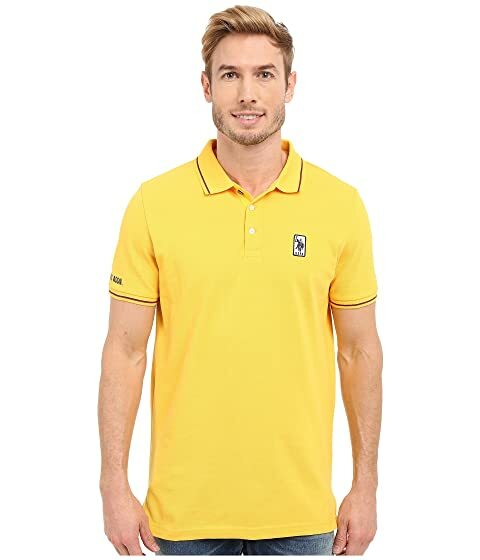 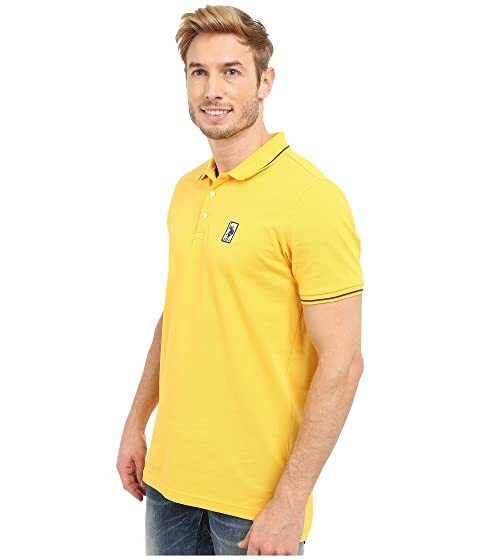 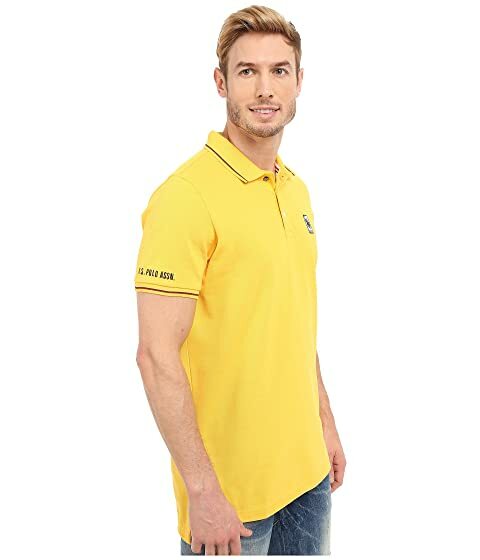 Classic cotton polo features contrast tipping at the collar and cuffs. 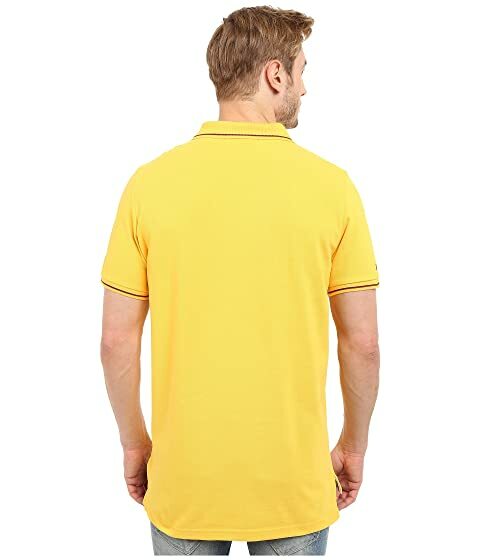 Brand embroidery at right sleeve.